My story began many years ago when I married my love! 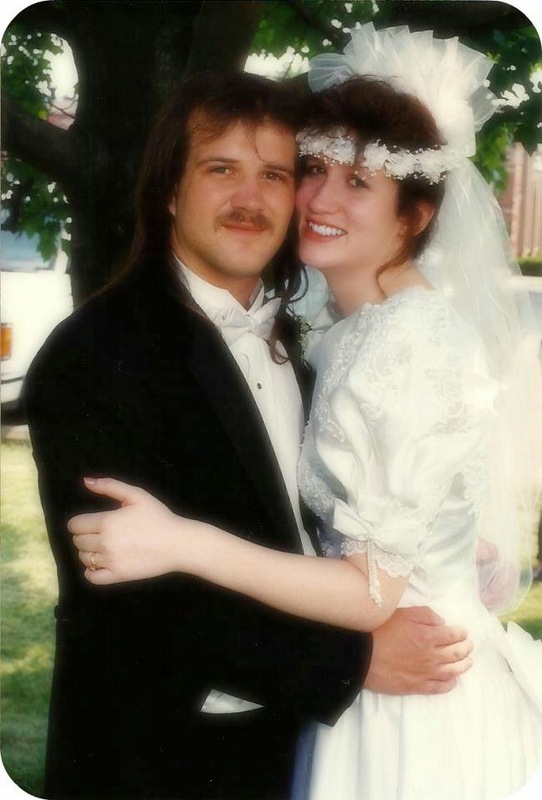 Mike and I were married just 4 days after I graduated high school. I know it seems like a young age to get married, but we had been through so much already that I knew we were meant to be together forever! Two years before we were married, Mike had some pretty serious health issues that temporarily took away his ability to walk or do much of anything for himself. It was some pretty heavy stuff to go through at such a young age, but we did it together! Not long after we said our I do's, we were expecting our first child and I landed a job at a daycare/ preschool. The pay wasn't the greatest, but I learned so much and it turned out to be the perfect fit for me. As the years went by I was able to continue working while taking my kiddos to work with me. The best of both worlds! In 2007, after 15 years of caring for the children of so many others, I left my job to be a full time mommy to my own. Of course, over the years I've continued to care for kids in my home as well. I guess you can take the girl out of the daycare, but you can't take the daycare out of the girl. Ha! 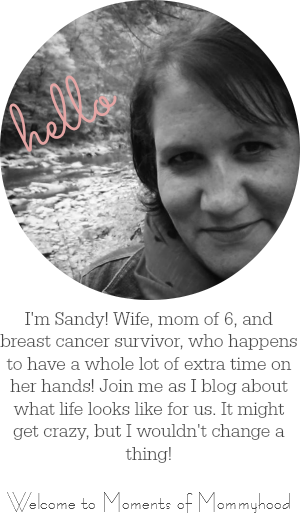 By biggest challenge in life so far came in August of 2011 when I was diagnosed with breast cancer. Talk about scary! My baby (Stella) had just turned one at the end of May, Madelyn was about to start kindergarten, and I was way too busy being a mom to all my kids to be thrown into a million scheduled appointments and chemo treatments! Thankfully, I have a great bunch of family and friends that stepped up and and helped my tackle this beast. It wasn't an easy fight, but I beat it! Looking back over the years, I have learned to enjoy the little things. Being a mommy isn't always easy and I'm far from perfect, but even though life can get a little crazy around here, I wouldn't change a thing! You can contact me at momentsofmommyhood@gmail.com. Thanks so much for stopping by!